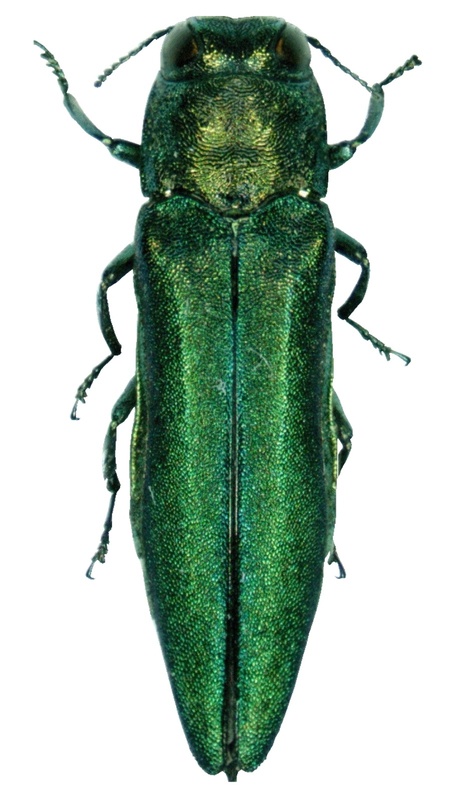 Emerald Ash Borer (EAB) has been positively identified in a residential tree in Waterloo, making this the sixth location where the invasive beetle has been found in Iowa. The current EAB infestation was found by city employees performing routine trimming on street trees. Further investigation found additional trees infested in a 10 square block area on the northeast side of Waterloo. A statewide quarantine will be issued on Tuesday, restricting the movement of hardwood firewood, ash logs, wood chips and ash tree nursery stock out of Iowa into non-quarantined areas of other states. Waterloo’s urban forest includes 4,364 ash trees located on public property. The three city-owned golf courses have 649 ash trees; the 52 parks contain 725 ash trees; and there are 2,990 ash trees along the street rights-of-way. “This is a devastating blow to Waterloo’s tree resources as we will be losing 17 percent of the trees on public property over the next few years. It will also be quite a challenge for the forestry staff to absorb these tree removals in their day-to-day duties and still provide a fraction of the services that Waterloo citizens are used to,” said Waterloo city forester, Todd Derifield. Previously, the Iowa Environmental Council reported advice on responding to the widening Emerald Ash Borer infestation provided by Trees Forever, a Council member organization. This entry was posted in Community News and tagged emerald ash borer. Bookmark the permalink.